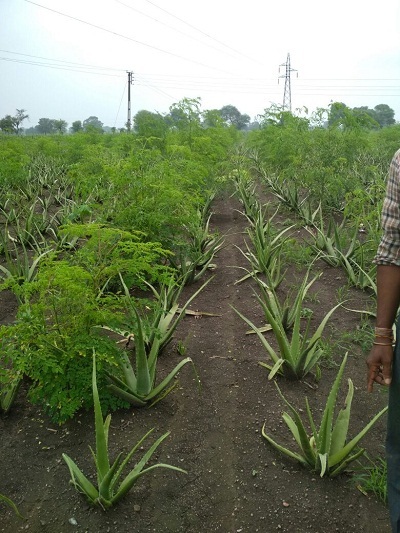 Mr. Gupta manages his family farm that spreads in 300 acre. His family has been cultivating soyabean and vegetables like chili, capsicum, tomato, onion and cucumber etc. Forest trees like sandalwood and melia dubia are also grown in the farm. All these are grown inorganically for more than two decades. 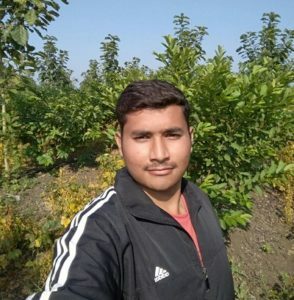 “Interacting with organic farmers, researching on internet, studying organic market and concerned about the environment I am convinced that life without chemicals is peaceful and soothing. However post independence green revolution made us completely dependent on chemicals under different segments like fertilizer, pesticides, herbicides and so on. Now once again switching to 100% non-chemical farming is tough but not impossible. It was difficult to convince seniors in family to make the switch yet I convinced them to trust me and my experiments in 25 acres. In the span of three I will show them fruitful results and turn rest of the 270 acre farmland into chemical free zone,” he says. 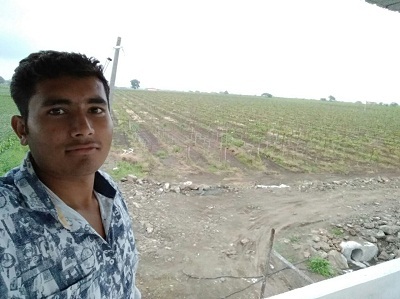 When asked about three years contract farming, he responds, “Aloe vera is sold to our farmers’ group Rudraksha Aloe Vera and Patanjali, bamboo to Khandwa, Madhya Pradesh based processor and moringa to a foreign buyer. Right now as the farmland is under conversion period price for all three products received is as per market price. We have already completed one year. In the third year we will get the organic certification and NPOP certificate. Later to which we will be entitled for charging premium price for these three products.” All three contract companies take the produce from the farm gate. Three crops are intercropped in a planned manner in 25 acres. 350 bamboo plants, 2000 moringa plants and 45000 aloe vera plants have been cultivated in every one acre. To accommodate it all systematically, bamboo is cultivated at the distance of 10×16 feet, moringa at 5×5 feet and aloe vera at 2×2.5 feet. First bamboo was grown, followed by aloe vera and in the end moringa. Aloe vera planting material was bought from Rajasthan. Primrose bamboo saplings grown are tissue culture plants bought from Madhya Pradesh. “We are growing PK1 variety moringa as it has excellent growth and yield is high. It was sourced from Bangalore, Karnataka,” he adds. The first harvest from aloe vera is received in 10 months and then once in every four months. The yield is uniform and satisfactory till six years and after that it starts reducing. It implies aloe vera plants needs a replacement after six years. “We have cultivated moringa in three phases so that we can get the production once in two months and the supply is steady. It is grown primarily for leaves. However we let plants in one or two rows to fruit so that we can secure the seeds. Usually the leaves are harvested from the plant/tree once in six months because at that time the leaves have maximum content of all the nutrients. Therefore the quality is at its best,” elaborates Mr. Gupta. In future Mr. Gupta wants to have his own processing unit and also start mushroom cultivation. He is affirmative with his experiments and confident to have a prospective future in farming. “All I need to do is switch 100% to organic cultivation. Once the farm is organic, I am sure the buyers would come to me from India as well as foreign countries. I am very sure to make a good fortune right here in my village,” he signs off.